We offer Water Flow Meters that accurately measure the rate of flow of slurries or conducting liquids flowing in closed pipes. These withstand voltage fluctuations and provide accurate readings. 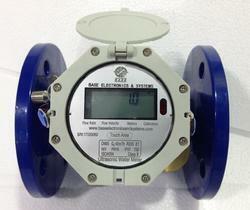 The easy to use meters are available in various configurations and are customized as required by the client. 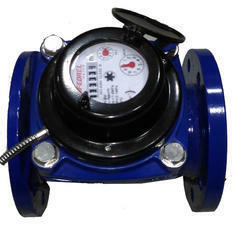 The Residential ultrasonic water meter with cutting-edge technology. 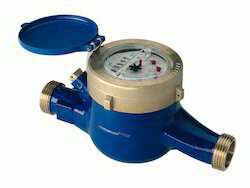 It solves the problems that mechanical water meters encountered in the past.With no moving parts, U-WM gains accurate measurement and life-long precision. Its technology detects lowest flow rate and provides customers with the best solution to non-revenue water. Multi-communications make U-WR become a smart data terminal, which is ready to embrace the challenges of future water metering networks. Online replacement of entire Mechanism. High sensitivity, low pressure loss . Easiest Mounting Options & one more PLUS Battery Operated version too. Use the Same Unit in Vertical or Horizontal or Field or Panel. Solventable T or Clamp-on saddle included. BRANDED product at a very small PRICE TAG. -2% of F. S. D.
(1/2", 1", 1 1/2") T; (2", 2 1/2", 3", 4") saddle. 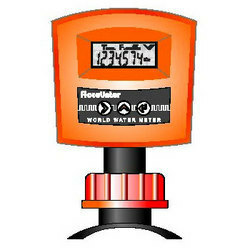 Digital water meters can also be used at the water source, well, or throughout a water system to determine flow through that portion of the system. 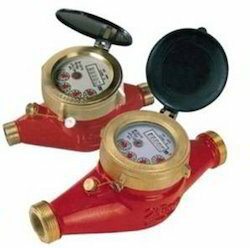 These water meters typically measure and display total usage in cubic feet, cubic meters or US gallons on a mechanical or electronic register. Flow-rate range 0.5m/sec to 5m/sec. We bring forth for our clients, a quality range of flow transmitters that are based on high speed microcontroller technology for reading the flow rate in LPH, M3 / Hr and corresponding Total reading in Liter or M3. 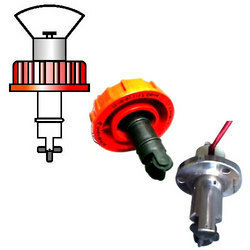 Suitable for VATS JT-121 sensor, these transmitters are built in re-transmission facility that allows relay to operate in various modes such as batcher, pulsar, rate switch and flow data transmitter. Our transmitters are provided with high resolution back-lit display and front panel tactile keys that facilitate viewing and programming of the liquid on different parameters. Delivering a pulse output of 200 Hz max, these flow transmitters provide 4-20 MA current output, which is proportional to the flow rate/flow velocity. Our flow transmitters provide RS-232 or RS-485 output for further advance connectivity that allows direct printing option and computer connectivity. Relay Output: A. 5A Potential free relay @230VAC, B.4 to 20 mA isolated current O/P for PLC l/P (External 24VDC loop Powered). A-210 / J-210 is a Digital Rate Indicators Totalizer with relay output suitable for VATS JT-121 sensor or others giving pulse output of 200 Hz max. A-210/J-210 can read the flow rate in LPH, M3/ Hr and corresponding Total reading in Liter or M3 Along with these two consecutive displays these monitors also have relays to operate in various modes such as: Batcher, Pulser or Rate Switch.